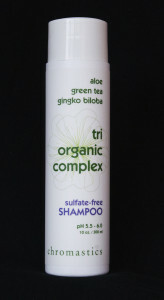 Sulfate Free Shampoo – 10oz. A gentle, non-striping formula of Green Tea extract, Aloe Vera, Ginkgo Biloba and Sunflower Seed extract. 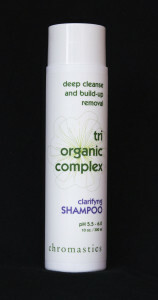 Designed as a gentle cleanser for all types of hair. Contains a very effective cleansing formula necessary for all hair types prior to a chemical service to remove unwanted substances that can negatively effect coloring and highlighting services such as hard water minerals, chlorine and other chemicals from the pool, hairsprays, mousses and waxes. It is particularly effective prior to using red dyes.